Marikana service for mine dead Jump to media player Events have been taking place across South Africa to remember the 44 people killed in recent violence at the north-western Marikana platinum mine. 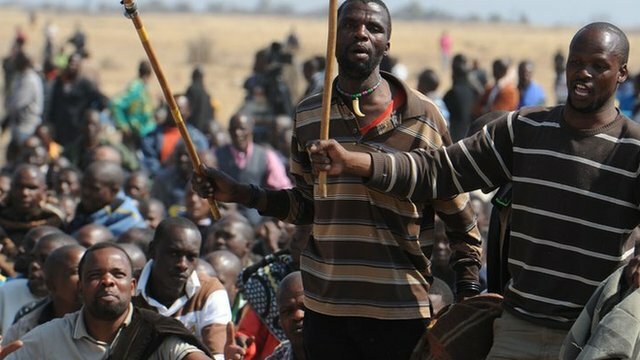 Lonmin: 'No dismissals this week' Jump to media player Mining giant Lonmin has dropped its threat to fire workers who failed to return to work at a South African mine after deadly clashes last week. 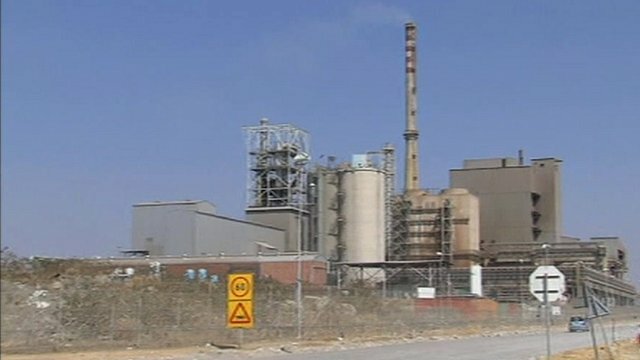 Miners urged to return to work‎ Jump to media player Striking South African miners mourning the death of 34 workers killed in violence at a platinum mine on Thursday are told by the owners of the mine, Lonmin, that they must return to work. 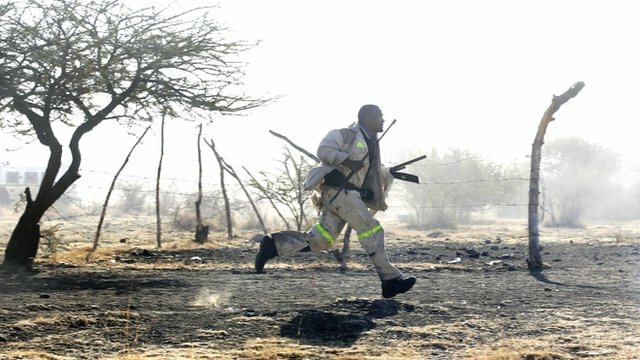 Police open fire on S Africa miners Jump to media player Police in South Africa have opened fire during clashes with striking workers at the Marikana platinum mine, leaving at least seven people dead. 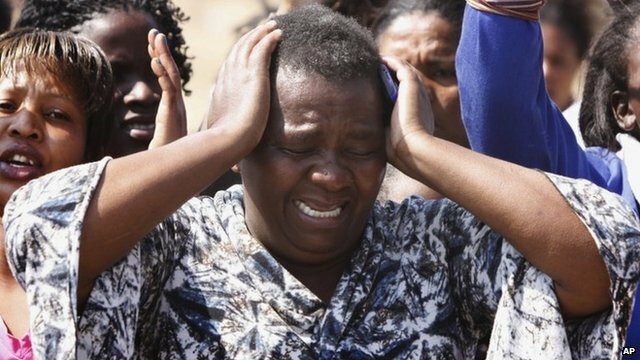 Events have been taking place across South Africa to remember the 44 people killed in recent violence at the north-western Marikana platinum mine. 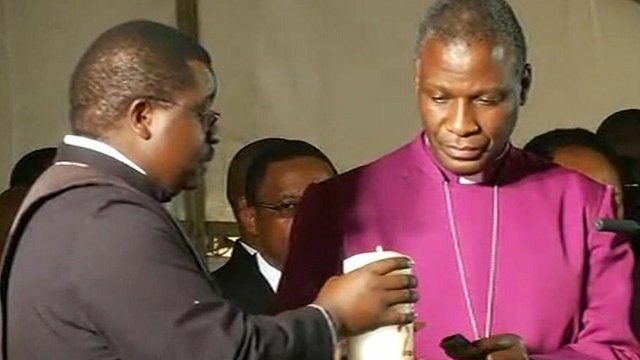 A memorial service at the Lonmin-owned mine was attended by church leaders, politicians and thousands of mourners. The BBC's Navdip Dhariwal was at the service, where she said police - seen by many there as responsible for the massacre - were keeping a very low profile.